Leicester City midfielder Youri Tielemans said he is enjoying playing in the Premier League and working under Brendan Rodgers. 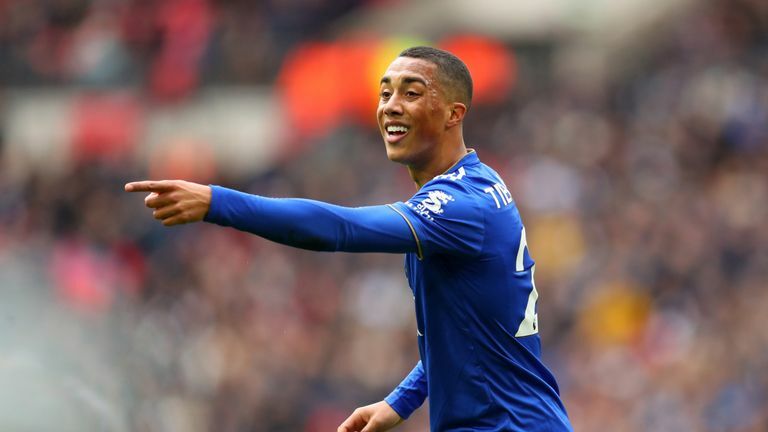 Youri Tielemans said Brendan Rodgers' attractive style of football has been a positive development at Leicester City. The 21-year-old has made a fine start to life in the Premier League since arriving on loan from Ligue 1 club Monaco in January, with one goal and two assists in his six appearances. Rodgers arrived from Celtic in February and Tielemans said how the Northern Irishman was already imposing his style of football on the team. "He tries to make his details on the pitch," Tielemans told Sky Sports News. "He's a coach with attractive and attacking football, so he tries really to put his type of play in the team, so it's really good. "I don't have to tell you anything about it the Premier League, but the atmosphere is really nice and the type of play is really good, I find it really good." Leicester's Adrien Silva moved to Monaco in a swap deal for Tielemans and the Portuguese has made seven appearances in France since the start of February, one more than he made at Leicester all season. Given Tielemans' impressive form, Leicester may well hope to make that move permanent, but the Belgian wouldn't be drawn into giving a definitive answer. "As I said before, we will see," he said. "I can't see the future, so we will see at the end of the season, for now I'm enjoying Leicester."